ADHEAR Update: 10 Days. 0 Problems. We are excited to be first to bring to Holland and West Michigan! Contact us if you would like to know whether ADHEAR is right for you. 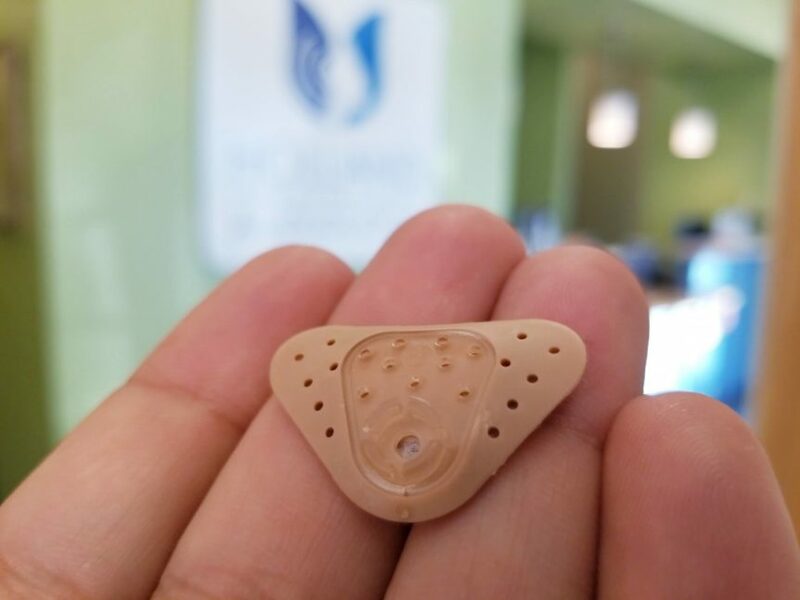 The revolutionary Med-El ADHEAR bone conduction hearing device is a new non-surgical option, primarily for Single Sided Deafness and Conductive hearing loss. Stick. Click. Hear. Using a small adhesive pad behind the ear, you will hear better through bone conducted sound! Amazing.